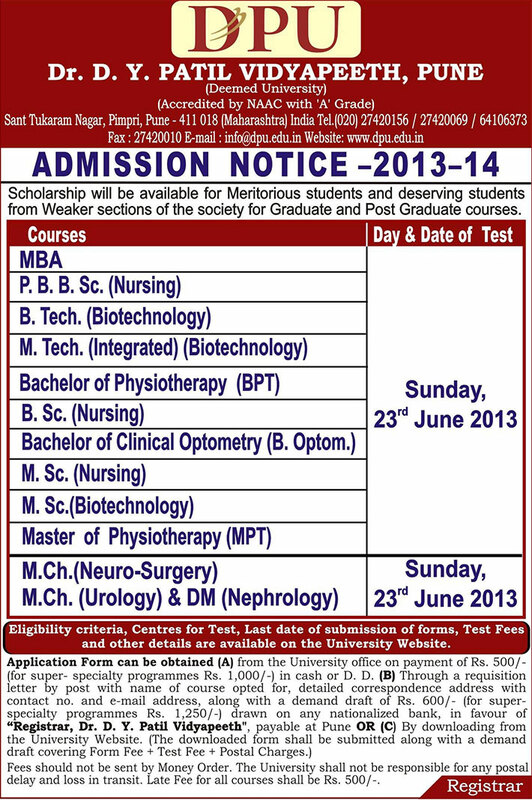 Note: Candidates, who have already applied for the Entrance Test, earlier scheduled on 9th June, 2013 (Courses – MBA, B. Tech. (Biotechnology), M. Tech. (Biotechnology) (Integrated), P.B.B.Sc. (Nursing), B. Sc. (Nursing), BPT, B. Optom., M. Ch. (Neurology), M. Ch. 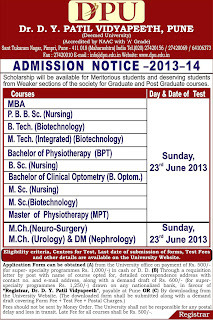 (Urology) and DM (Nephrology), need not to apply again for the Entrance Test now scheduled on 23rd June, 2013.